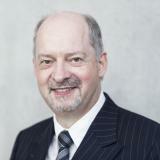 Werner Bier is Deputy Director General Statistics in the European Central Bank. He is overseeing i. a. Analytical Credit and Master Data, the Banks’ Integrated Reporting Dictionary, the Integrated Reporting Framework, the Centralised Securities Database, Securities Holdings, Benchmark Rates and Banking Supervision Data. He is also chairing G20 meetings on Securities Statistics. Werner joined the ECB at inception. He has worked before in the European Monetary Institute, the European Commission, the Deutsche Bundesbank and provided University lectures. • What vision could guide us towards a future for digital finance? Check out the incredible speaker line-up to see who will be joining Werner.